This is an EDUCATIONAL class. 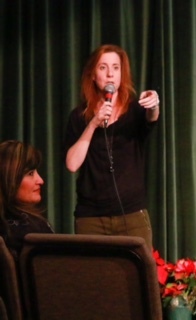 Valuable information on the business of acting from Los Angeles. FIND OUT WHAT IT TAKES TO BE IN THE MIX WITH SUCCESSFUL WORKING ACTORS, and Go from Show "Hobby" to Show "Business"
1-Making the move to Los Angeles from the East Coast, everything you need to know. What to expect when you arrive. Is LA so different from the East Coast? YES!!!! From apartment searches,transportation, how much to save, Finding the industry, casting offices, seminars, headshots, acting classes, Auditions, and how to get settled in. 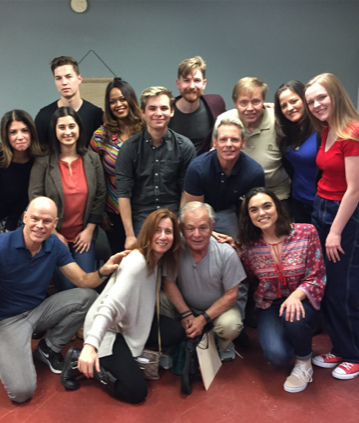 2-How the auditioning experience differs between New York and Los Angeles and how to prepare for that to put your best foot forward and make a great impression. 3- How to use Social Media as an effective means of Public Relations and Establish and Promote your Brand. -East coast and West Coast. -Whats going on this pilot season? -What's going on in Atlanta/New York/LA? -What to say when meeting agents, casting directors, and managers. -How to put your best foot forward, really show your personality in the room, and lead with confidence and authenticity. -What scene is right for you? -Finding the right headshot for you. -Lazer Beam Your Focus and network with the right people for your strengths. Please note this is only a class to provide education, this is NOT an audition and no work is guaranteed by attendance.